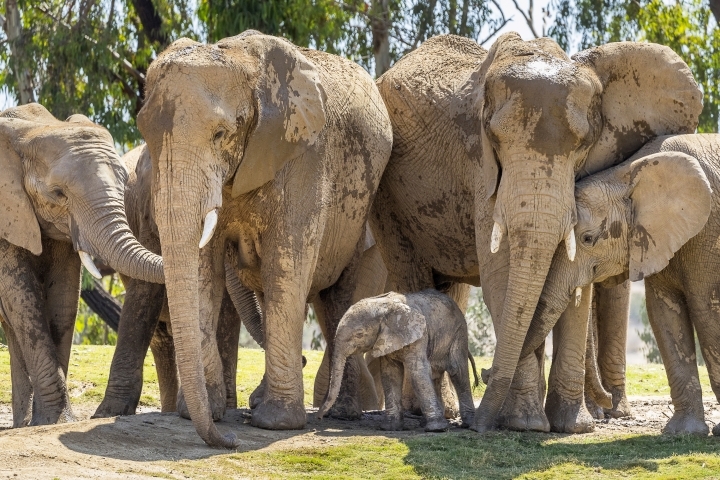 SAN DIEGO — The newest elephant at San Diego Zoo Safari Park has joined the rest of the herd. Video posted by the zoo this week shows Umzula-zuli taking his first tentative steps in the elephant enclosure — under the watchful eye of his mother, Ndula. Zookeeper Mindy Albright says the other 12 elephants sniffed the new baby and trumpeted their welcome. 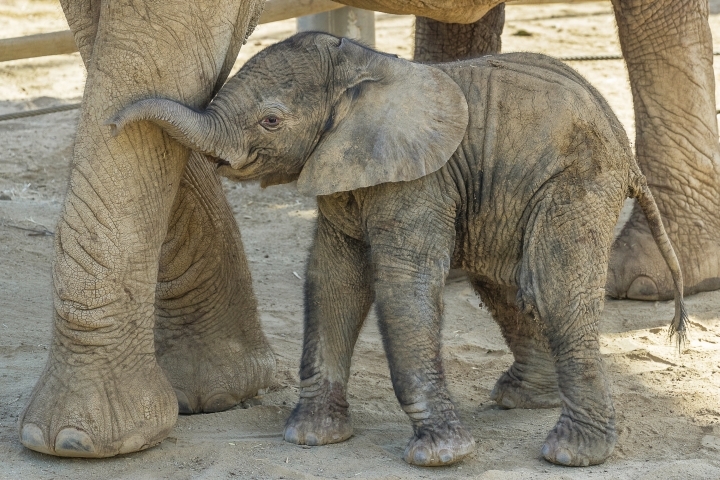 The healthy male African elephant calf was born Sunday, which happened to be World Elephant Day. 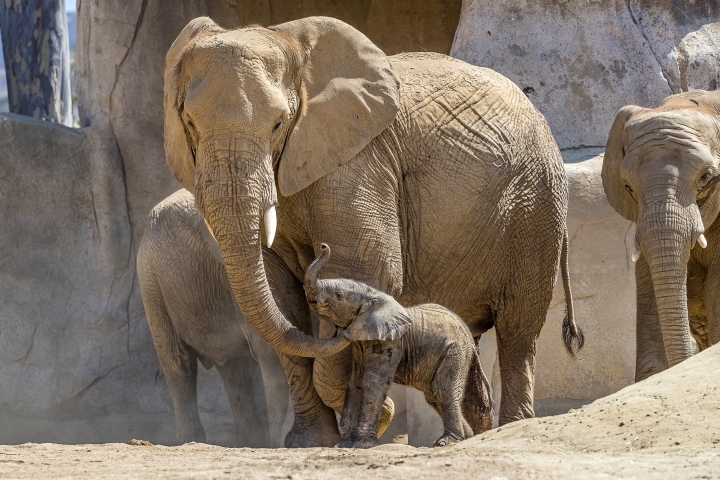 Umzula-zuli — or Zuli, for short — tipped the scales at 270 pounds — making it the largest elephant ever born at the safari park.